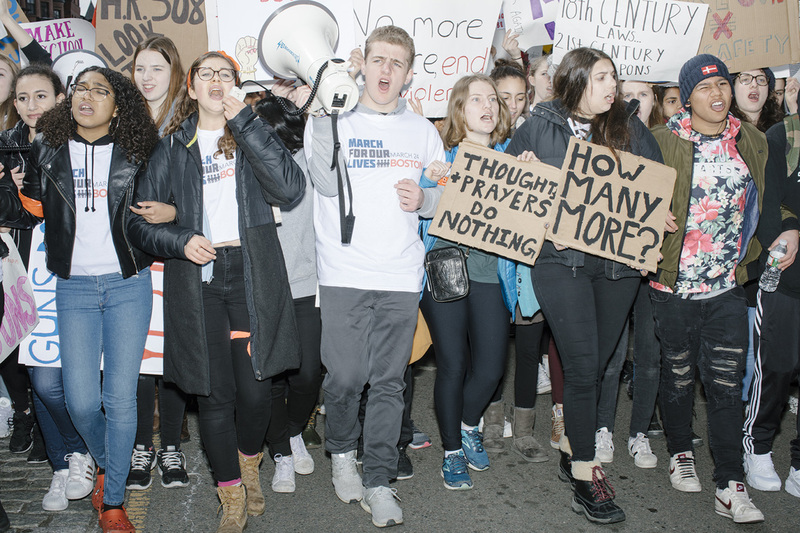 The image above, of students demonstrating in Boston's March for Our Lives protest against gun violence, was recently selected for inclusion in the American Photography 35 book. It's always such an honor to have my work recognized by the organization and their distinguished panel of judges. From the announcement: "From over 7,000 entries, the jury selected only 349 images by a majority vote or better to appear in the book and represent the best pictures from 2018." This year, the judges were: Jessica Dimson, Deputy Photo Editor, The New York Times Magazine; Dustin Drankoski, Creative Director, Mashable; Lea Golis, Freelance Photography Editor and Creative Producer, Apple Media Products; Rosey Lakos, Director of Photography, Godfrey Dadich Partners; Natasha Lunn, Director of Photography & Video, Airbnb Magazine; Eve Lyons, Photo Editor, The New York Times; and Thea Traff, Senior Photo Editor, TIME Magazine. My work has previously been recognized by the organization in American Photography 34, 33, 32, and 30.